Developing a marketing automation system without a constant flow of active leads is like building a ski resort and not having any skiers on the slopes. You need those individuals in order to make your investment worthwhile. There are many different ways to generate traffic that converts to leads: sending emails to a list of established contacts, pay-per-click advertising, or importing and emailing new offline contacts. But one of the most cost-effective ways to generate the necessary traffic that converts to leads for marketing automation is to blog. 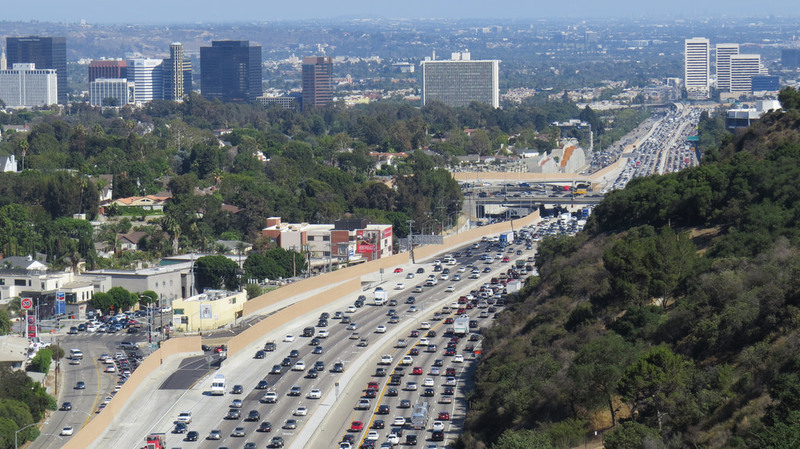 How Does Blogging Affect Website Traffic? Google and other search engines continue to favor sites that produce informative or entertaining content on a regular basis. 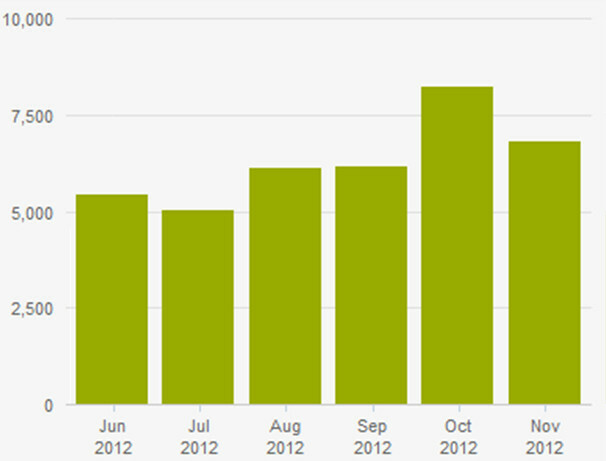 And search is changing frequently, as you can see in this timeline of Google algorithm updates. The best way to take advantage of these changes? Create content that attracts people's attention. 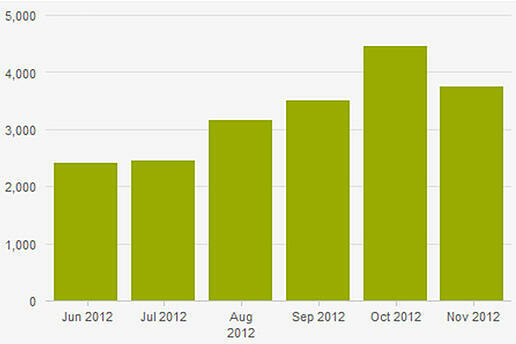 Each graph above shows an increase in search traffic starting in August 2012. 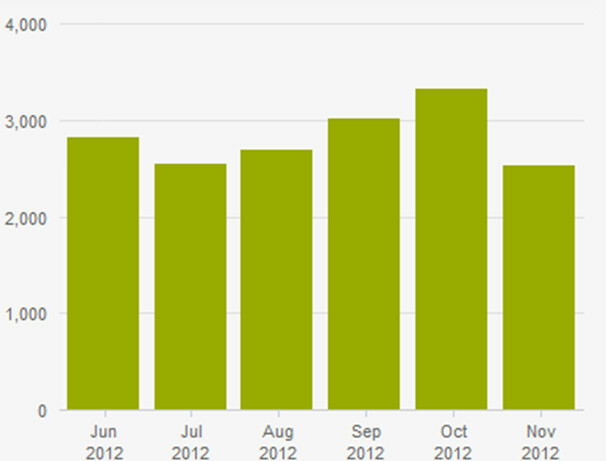 The all-time high for search traffic on all accounts was in October 2012. These businesses show that when you provide helpful, informative blog posts on a regular basis you can improve your search traffic tremendously. When your website is optimized for lead capture, then that blog traffic can be one of your top sources for new contacts for marketing automation. The key to gaining search traffic from blogs is to provide content that is valuable to your audience. By reviewing popular content, surveying existing customers and investigating what people are talking about on social networks, it's easy to get an initial idea of what blogs should be created. Google also has a Trends service, which provides information about what is popular and where it's popular based on a specific search term or brand name. All of these tools will help inform the process. These blog posts will be used to bring traffic to a website through search and social. And they will be one of the main ways to promote the offers that create new contacts and kick-off marketing automation processes. On the blog and within each post, there should be a call-to-action graphic promoting an offer. If a user clicks on the graphic and converts, he or she goes from website visitor to lead. This is where marketing automation and lead nurturing take over. Beyond generating traffic via search engines, your blog provides shareable content for your social networks. You can also encourage website visitors to subscribe to receive your new blog posts in their inboxes with an email subscription. All of these provide additional sources of website traffic outside of the search world. And the more traffic, the more opportunity you have to capture leads and nurture them using marketing automation. 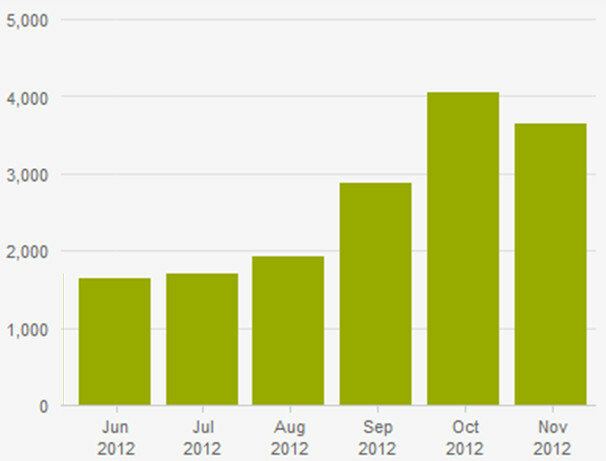 How has the frequency (or infrequency) of your blog posts affected your traffic? Tell us in the comments below.